To some, even the prospect of working with family sounds like a nightmare. But for The Village Butchers, it’s another story altogether. We spoke to father and son duo Terry Snr and Terry Jnr about their family-run business in Southfields, London. Can you tell us a bit about yourself and your background before you started your business? Terry Snr: I’ve always worked in butchers’. I left school at the age of 15 and worked as a Saturday boy in a little butcher down the road called A Richard & Son. I progressed from there and went to another butchers in Battersea with more shops. It was a busier shop and I learnt a lot. When he closed down and sold it on to another company called Dewhurst, I worked there for about 10 years. My brother-in-law Danny and I knew the person who had this shop, so he bought it and we’ve been here 12 years now. Terry Snr: It’s good, as long as everyone gets on with each other. Everyone has to be fair with each other. You’ve just got to get that balance right. It can be quite difficult when someone wants time off when it’s someone else’s time off, but you have to work around it. None of the boys take any time off sick. They always put themselves out for the company and being a family business works well for us. But if you talk to other people who have family businesses it doesn’t always work so well. If you’re making them work and not giving them holidays then they will phone in sick – and then you get conflict. A lot of family members have had jobs here and moved on – that’s just how it works. It’s always a good start for them and for some it’s a good finish too. What would you say a typical day is like? Terry Snr: We’re open seven days a week. The days are quite long and busy. I normally get here between half past six and seven o’clock and we don’t shut until quarter to six. By the time we get everything done it’s normally half past six. We get a busy period in the morning when the parents are taking their kids to school and again when they’re all coming home. It can get quiet during the day, but in that time we serve two local schools and two nurseries, so there’s quite a lot of prep to do, getting it all cut, packed up and delivered. On Wednesday we get our pigs in from the farm. They get broken down, all the poultry gets sorted out and put to the side ready for Thursday. Thursday we get the sausages ready for the week, Friday we do the beef ready for the weekends and before you know where you are, it’s Monday again. What’s your favourite thing about running the business? Terry Snr: I just enjoy what I do. You’ve got to have passion. You’ve got to want to make it as good as it can be. Every day is different. You talk to different people and trends in butchery change all the time. Chefs come up with new ideas and people see it on the TV and ask if I can get it in. You learn a lot about cooking too. Now you have to tell people where the animal has come from and what the best way to cook it is. If you can get that trust from people and they come back and say “that advice you gave me was really great” you get a sense of satisfaction – even after all these years – that you’re doing something right. Have you encountered many challenges along the way and how have you overcome them? company is definitely a learning curve, because you’re restricted in what you can do. If you don’t think something’s right, you haven’t got a choice; they’ll say “that’s what you’re selling”. It’s quite hard to sell a customer something that you don’t think is right, but when you work for a company everything has to be the same. For example, in Dewhurst we had a thing called a window plan, so whether you were in Brixton or Belgravia, you would have to sell the same stuff. But people in Belgravia eat different things to people in Brixton. You just learn as you go along by thinking: “I wouldn’t do it that way if it was my shop”. Learning to cut meat is a challenge too. Still got all my fingers though! Terry Jnr: Marks and Spencer, Tesco and Sainsbury’s have all opened up a few doors down from us. So that’s going to hit us a little bit, as people go in there for convenience and they’re open later. So we thought we needed to do something a bit different that not many other butchers do. We’re on Twitter and Facebook, but we’ve also started a website and do online deliveries. Everyone seems to work longer hours these days, so instead of opening extra shops in different areas, we could just deliver to those areas. We think that’s the future. Social media has been a great help too. The older guys didn’t believe in it at first but I kept trying. We started using Twitter last year and three days in we got an order from a brand-new customer. We’ve seen so many new customers through social media. 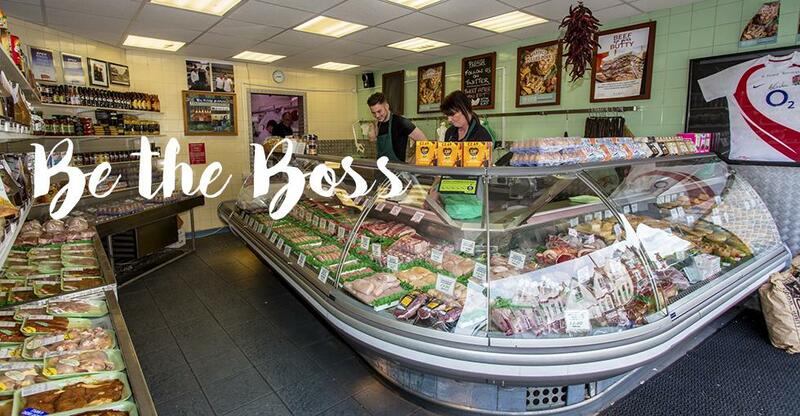 What makes independent butchers like yourselves stand out among the chains? Terry Jnr: It’s all about the traceability. I think supermarkets sometimes cut corners and often it’s mass-produced; when you go into small or independent shops like ourselves, quality is at the heart of what we do. We can trace every animal back to the farm and tell what they’ve eaten. You don’t get that with big supermarkets; unfortunately its large flocks of birds in cages a lot of the time. We’re fully trained. We know what we’re doing. If a customer has a question we will always have an answer and we can always cut a piece of meat to however they like it. That’s the main thing about independent shops compared to supermarkets: we actually care. They’re paid to be there for a few hours and then they go home, whereas it’s our livelihood, so we put a lot of pride and passion into what we do. What advice would you give to anyone wanting to buy a butchers ? Terry Snr: In butchery, you have to look at the location. Some of the best locations are near a station or on a little high street, rather than a busy high street. If you’re near a station, then you know you’ll get a little rush as people come home from work. When you go to a busy high street, it’s more about the volume of people than the customer service. If you get the customer service right in a small area, the people will support you if you support them back. Put the hours in and work hard and treat everyone how you would want to be treated. Always remember that they are coming to your shop because they want to and you need them to – treat them like they’re one of your family.